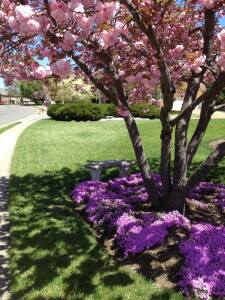 Happy Earth Day to all! I love this time of the year here in my garden with everything springing back green and healthy. With that comes a few challenges in the “beat the clock” arena as well: fungus, mildew, slugs and hungry deer to name a few. I have some great Earth friendly and inexpensive ways to thwart these challenges before they even start — can’t beat that! Here are a few of my favorites. Chamomile tea is a cure-all for fungal diseases. It has antibacterial and fungicidal properties. Mix a really strong brew of 16 chamomile tea bags in 1/2 gallon of water, simmer for 20 minutes, and allow the tea bags to steep for several hours. Use as a spray. Another easy home remedy for fungus: 2 dissolved aspirin (325 milligrams each) in 1 quart of water, used as a spray. I haven’t tried this one, but I am going to — simplest remedy of the bunch! 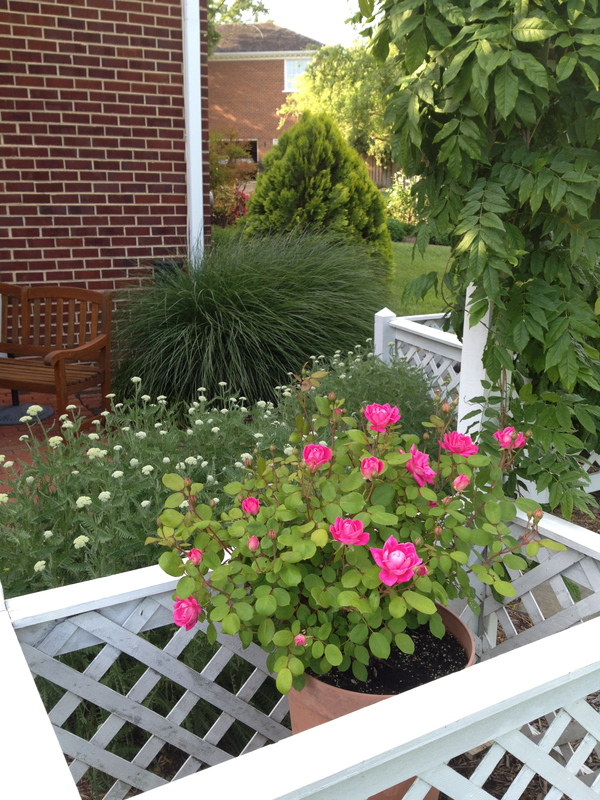 Use these sprays on the rose foliage to keep them disease-free throughout the season. A spray for black spot and powdery mildew on roses is 1 tablespoon of baking soda and 1 teaspoon of dish soap per 1/2 gallon of water. Shake the bottle before spraying to keep the baking soda mixed in. Use this throughout the season for beautiful, healthy rose foliage. • Vinegar or hydrogen peroxide sprayed on weeds kills them in hours. • Borax for ant control. • Epsom salt to soften up stumps for removal. • Red pepper sprinkled around flower beds to keep squirrels at bay. If you can stand the smell this next one works well. 12 rotten eggs and 4 beef bullion cubes in a gallon of water (left to spoil for a week), then sprayed on plants to keep deer (and probably everything else) away. Spread coffee grounds around the base of hostas, and other tender leafy plants like these lily of the valley, to keep slugs at bay. 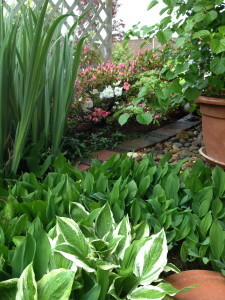 Used coffee grounds spread around the base of hostas, or other leafy plants, like lettuce and cabbage will deter slugs. 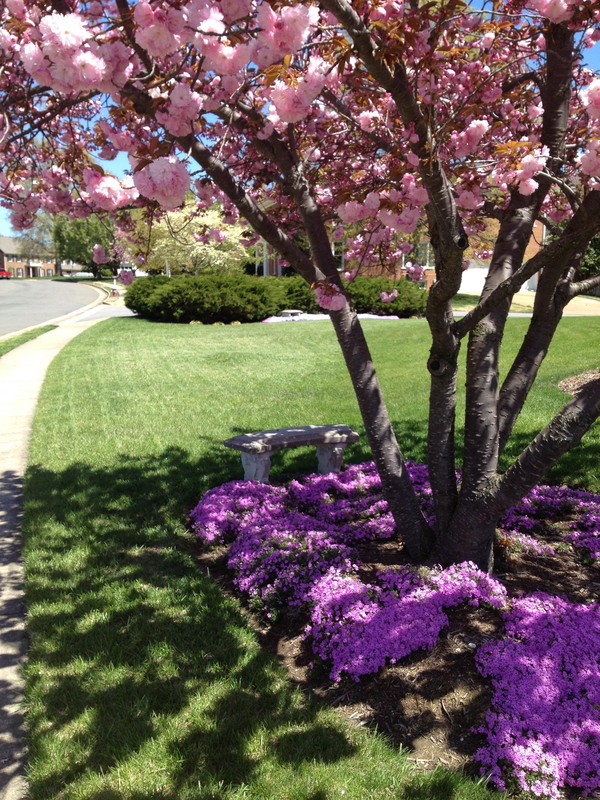 Also, the grounds are high in nitrogen, so they will provide a nice slow release of nutrient. This is one of my favorite tips. I spread the coffee grounds around a different plant in the yard every morning, works great! There are so many of these easy home remedies for plants that are very Earth friendly. Why not try a few rather than spread harmful store-bought chemicals into the environment? Your wallet will thank you, too.